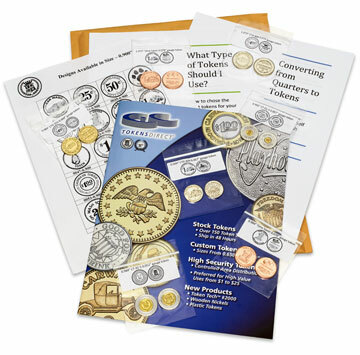 With TokensDirect's FREE Quarter to Token Conversion Kit it’s never been easier to make the switch to tokens. Operators have known the benefits of tokens for years [reduced vandalism and employee theft, increased per cap spend, plus pricing flexibility]. Now’s the time to join the 44 out of every 100 carwashes that already accept tokens. Choose one of 2 available kits below: Quarter Value or Dollar Value (higher security). Supplies are limited. Kits will be mailed free of charge only to the first 100 responders. Act now and get started taking advantage of the benefits of making the switch.